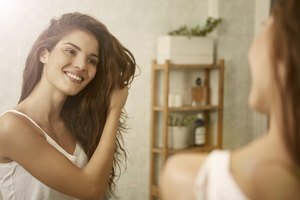 The daily battle with fine, lifeless hair and thinning locks is not just a problem for the elderly. 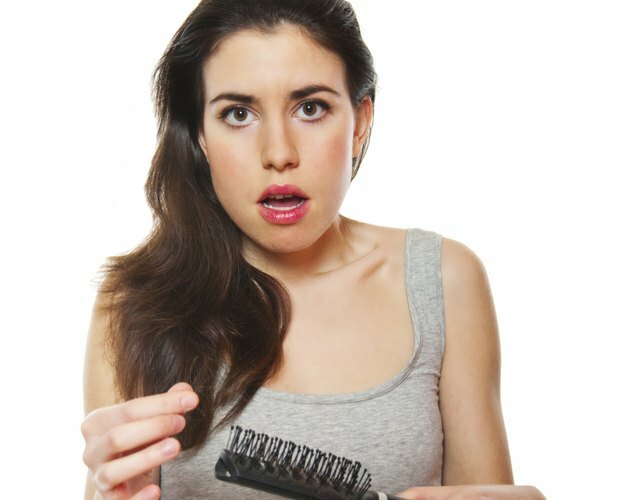 Sometimes thin hair is caused by genetics, stress or overprocessing with chemicals or heating tools. A long style does not mask fine or thinning hair; instead it weighs down the strands, exposing more of the scalp. Although you may be hesitant to part with Rapunzel-like locks, fine and thin hair appear fuller with a short haircut. Women with long hair can ease into a shorter style by first having their hair cut to about shoulder length. The addition of layers not only creates waves, it further lightens the load and causes your hair to show better movement. You may decide to keep your hair at this length for styling options such as tying your hair into a ponytail. However, opt to go even shorter to make your thin locks appear fuller and healthier. A short bob can be cut all the same length at ear lobe length or at chin length. Cut the hair shorter in the back than in the front for a modern approach to this classic hairdo. Although your hair won't be long enough to tie a ponytail, you can alternate the part or wear a headband to alter the look. Women with round faces benefit from the bob's slimming appearance, and the haircut softens the jawline of women with square faces. The chop begins with the same straight line bob cut. Then, the scissors are angled upward to make irregular cuts, feathering the edges of hair. This effect adds fullness, gives movement and adds an edgy, alternative look to your style. While face shape and hair type are important considerations as to what style works best on you, fine and thinning hair are best paired with a textured pixie cut. The hair should be styled forward to have no part. The varying lengths of the tousled cut boost the hair’s thickness and volume. If you are not ready to go this short, you can experiment with lengths in between the bob and the pixie. No matter which haircut you choose, trim your hair regularly to maintain the shape of the cut. Use volumizing and thickening products to lift hair at the roots. Avoid weighing down hair with heavy styling products. Instead apply a small amount of lightweight gel to your locks.